So far the unit is as advertised, easy to install, works great. Products always arrive quickly and in excellent condition. I will definitely continue to purchase my items here!! 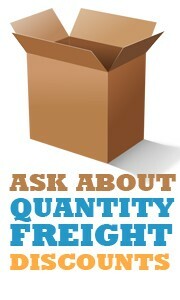 Best price – Great service – Three day delivery – and absolutely NO surprises! I contacted PTACUnits.com to purchase a new PTC Unit to replace a Carrier Unit that I installed in my cabin in 1992. 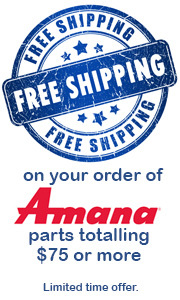 I talked with sales representative Antonio who recommended an Amana PTC Unit, telling me that I would not have to order a new Sleeve or Sleeve Grill as the Amana Unit would fit in the old Carrier PTC Sleeve. He confirmed the order and information with his supervisor Chris and told me the Unit would be shipped out and received in 7 to 8 days. On the 6th. day the Unit arrived by freight and I had it installed easly within 20 minutes. It fit perfectly as I was told in the existing sleeve and it runs very quite compared to the Carrier Unit. Antonio and Chris gave accurate and sound advice and I am very pleased with the Amana Unit, the sales advice and the price I was given. The heat/air unit we originally had was 15 plus years old and in our home when we bought it. We had been ordering filters from PTACUnits.com, and each time we ordered, we always recieved top-notch customer service. When our unit died on us recently, we ordered an entire new one and had the same great customer experience working with these guys. Our unit arrived quickly with no problems and in great shape. Chris had assured us that the system would be easy to install and that we wouldn`t need to hire an installer. Sure enough, we pulled the old system out and slid the new one in with no problems. We are both very satisifed with this new system and all of the new functions that were not on our original one. Thank you again for your great product and excellent service. We had a order of PTACs shipped to us in Washington state from PTACUnits.com. The entire order arrived on time and exact. There was one sleeve that was bent to badly for installation. I am sure that this was done in shipping. We notified Chris Jenkins at PTACUnits.com and he had a new one at our doorstep right away. This kept our project on time. Thank You Chris you saved us a lot of time!